Adopting a progressive outlook on education, Hult International Business School is more than just a business school, but instead a global network connecting talented business professionals from all over the world. Hult is a business school that helps students navigate the ever-expanding international business sector with an emphasis on personal growth, intellectual integrity, global sensitivity, local engagement, and civic values, so that students may thrive in the global economy and are empowered to make a difference in their business and community. Hult International Business School aims to inspire academic excellence and enables students to become part of the greater academic community as well as the global business leaders of tomorrow. Emphasizing experiential learning, The curriculum of Hult International Business School illuminates global business concepts through practical application. 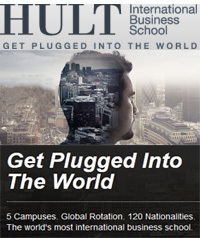 Hult International Business School acknowledges the importance of a global perspective and its significance for the international job market, which is why Hult programs are available in the world's fastest growing economies, giving students the opportunity to study in five exciting cities - Boston, San Francisco, London, Dubai, and Shanghai – making it the first global business school. Hult’s International Business Education brings together students from more than 80 countries, creating a unique cross-cultural education experience that equips students with the skills to flourish in today’s international environment. Hult also boasts a powerful alumni network that spans the globe, opening doors for students all around the world. 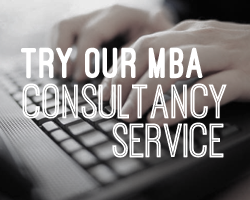 Why Choose HULT For Your MBA? From our World-class rankings, to our unique global campus rotation opportunity, our hands-on business experience.... there's so many reasons why you should choose Hult for your MBA!